Swedish bitcoin exchange Safello has received $250,000 in new funding from the Bitcoin Opportunity Corp (BOC). Safello made the announcement at the CoinSummit conference in London today. Notably, the financing is the BOC’s largest investment outside of the US yet. The new funds are anticipated to allow the Stockholm-based company to increase its marketing efforts across Europe and roll out new products and features faster. As a result, the BOC’s chief executive and founder, Barry Silbert, expects to see Safello’s customer and transaction volume growth accelerate, he said in an interview with CoinDesk. The Bitcoin Opportunity Corp backs almost 30 companies, including industry leaders such as BitPay, Coinbase, Ripple Labs, Circle, Xapo and BitPesa. 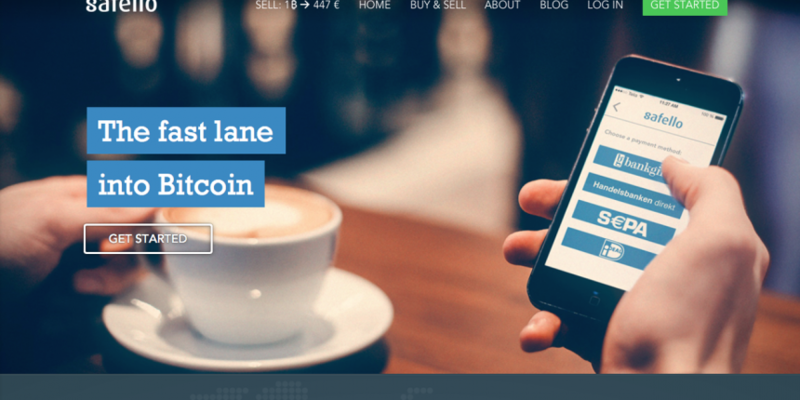 The exchange launched last August and has since established its credibility in the European bitcoin market. To date, it has made direct payments available to users through 86 banks across 11 countries. Safello’s chief executive and co-founder, Frank Schuil, told CoinDesk that the company plans to continue following its existing roadmap, tipping his hat to its favorable geographic and strategic position within its network of “topnotch investors, advisors and partners”. Specifically, the company wants to expand its existing exchange with more payment methods into more regions, while continuing to focus on building products and features people love, he said. In February, Safello secured $600,000 in a seed round led by bitcoin evangelist Erik Voorhees that also included angel investor Roger Ver and Blockchain CEO Nicolas Cary among others. Still, the regulatory divide between European countries allows bitcoin companies like Safello to flourish, he said. In the past month alone, regulators from Italy, Estonia, Switzerland, Russia and Poland have taken measures intended to change their attitudes and approaches toward digital currencies. Whether positive or negative, discourse at the governmental level still goes some way towards furthering bitcoin education and awareness. Schuil raised the topic of the European Banking Authority, which last week warned financial institutions to keep clear of digital currencies until the industry is regulated.